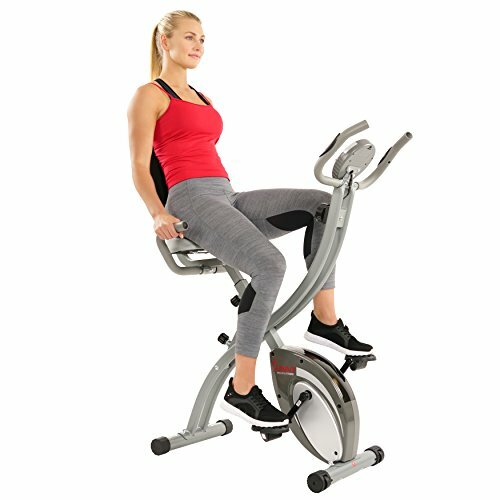 Upright bikes are those with a small seat, similar to an actual bike saddle, and which keep you sitting upright when cycling. These differ from recumbent bikes which don’t resemble a bike at all, and spin bikes which are ultra-realistic. For this type of bike, $500 covers quite a range of options, reaching the high end of the mid-range options. Only the best bikes are outside of your budget here. Our overall pick would be the Schwinn AD2 Airdyne Bike. For overall bike recommendations under $500, of all types, check out our Best Exercise Bike Under $500 post. Through my years of using bikes both in gyms and outside them, Schwinn has proven to be a reliable brand. Their AD2 Airdyne is a great example of high quality design combined with versatility and a range of options. There are a number of reasons why some people prefer upright bikes are to recumbents. For starters, they are more like actual cycling and work more muscle groups, such as the abs and upper body. Uprights also take up less space and come in fold away versions too. 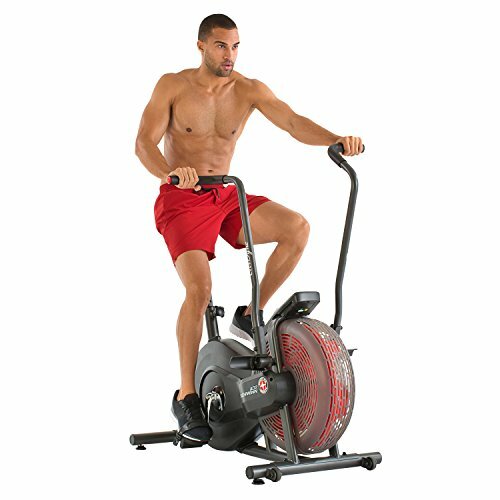 When compared to spin bikes, these are easier for to use for some users and more comfortable. They also tend to be cheaper, though for a full breakdown of uprights against spin bikes, you can take a look at our Upright Bike vs Spin Bike article. 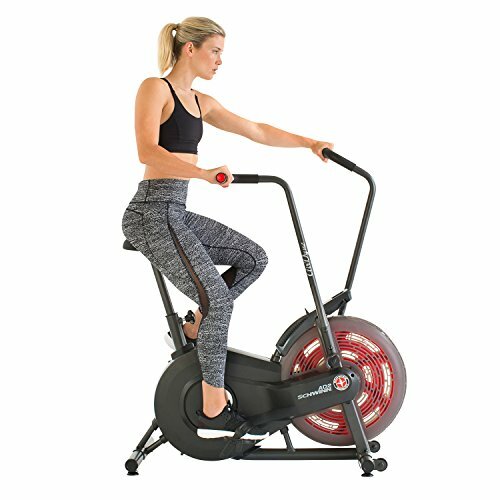 The Schwinn AD2 Airdyne is a bit different from many uprights, because it has moving arms which give an upper body workout too. This is actually what put this bike ahead of the others, because it gives more of a return for your time. Schwinn Fitness was created from Schwinn Bicycles in the 1800’s, so this is a company that really knows how to create great bikes. Having the arm bars means your arms are actively working as well, rather than just supporting your position. You’re also in the upright position which should be engaging your core. Combining these will see more improvements in tone, more calories burned and more improvements to your cardio-vascular system. All of this without investing extra time into a workout! With Schwinn’s AD2 Airdyne Bike you are using an air resistance system. This means the harder and faster you try to pedal, the more resistance works against you to make it more difficult. The system can give potentially limitless resistance because of this, so resistance is literally down to your own choices. From authorised dealers you can receive a 60 day money back guarantee on the AD2 Airdyne. You can try it out and se*e if it’s for you with peace of mind by taking advantage of this offer. This bike’s a lot easier to build than many other uprights. You can do this one in 5-10 mins without much issue whereas many bikes will take twice that long. Instructions are really easy to follow as well, there aren’t many parts involved nor are there many steps in the process. Most of these bikes have been sturdy and reliable for their users, though it seems quality control hasn’t been perfect and a couple of models have suffered early breakages. The number of bikes this has happened to is a tiny percentage of what’s out there, so we feel quite confident saying this is almost certain to be a reliable product – just keep in mind that tiny chance of getting unlucky with a dud! The Schwinn AD2 Airdyne comes with a 3 month labor warranty, 1 year on parts, and 5 years on the frame. The frame is definitely solid enough for that not to matter, it’s the 1 year parts and only 3 months on labor which are an issue. With a dud, if something happens a few months in, you’re out of the labor costs. If it manages to last barely a year, you’re stuck on parts too. The LCD display gives basic info such as RPM, time, speed, distance and calories burned. It doesn’t really do much other than that, and since this is a bike without pre-set resistances, there aren’t any guided workouts or programs. The Sunny SF-B2721 is an upright bike with the seat just slightly further back – and swapped from a saddle to a recumbent bike style seat. It’s a unique creation that stands out in a field of similar looking products. This bike can actually be folded away to take up a space of only 12”x20”x57”. That makes it perfect for tight spaces, you can literally put it in the cupboard afterwards. It also weighs only 17kg so moving it around is easy for anyone. When fully set up it still doesn’t have a huge footprint, so it’s even good for in-office use. The adjustability of the seat and handlebars is good, and having a big recumbent style seat makes this very comfortable compared to any other upright bike. The Sunny Semi-Recumbent Upright uses a magnetic resistance system. That makes it very smooth to operate. Resistance is adjusted with a knob that you can turn easily during use, choosing between 10 resistance levels. The bike runs smoothly without any noise or vibration, perfect for quiet areas. This upright has a sturdy frame made partly from steel. Despite the solid construction it retains the advantage of being lightweight thanks to swapping out the frame parts which aren’t subject to much stress for lighter materials than steel, though they remain strong. As the name suggests, this is a Sunny Semi-Recumbent Bike, so you are getting less overall development than with a pure upright bike. Still, the extra comfort could mean you’re okay working for longer, though the gains would be focused more on your legs than with a standard upright. This bike doesn’t have many features either, outside of adjustable resistance and the ability to track metrics like time, calories burned and heart rate. The heart rate monitor is as advanced as this bike gets. The drinks bottle holder is behind the seat, which is fine with most uprights – but not behind a bulky recumbent seat. Sunny’s SF-B2721 Bike also has the phone holder right in front of the LCD console, so your view could be blocked depending on what phone you use. 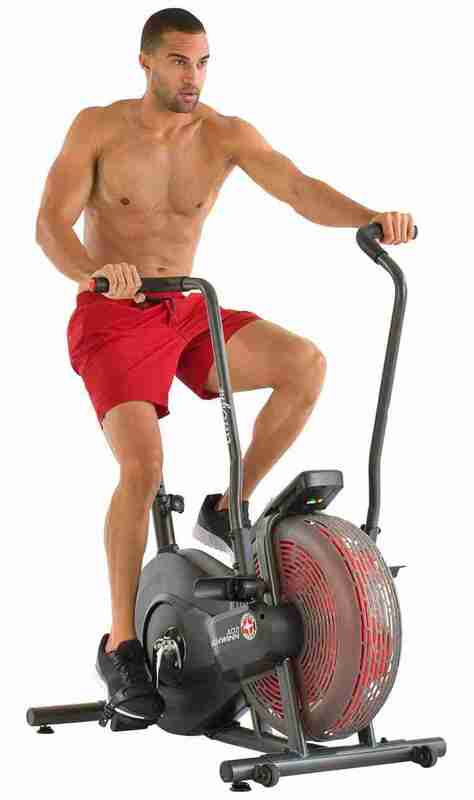 Marcy create a wide range of cardio equipment, and offer several budget bargains. The Marcy Upright ME-708 is a basic bike with good reliability. Like other Marcy budget picks, it comes in at the cheaper end of the price range. 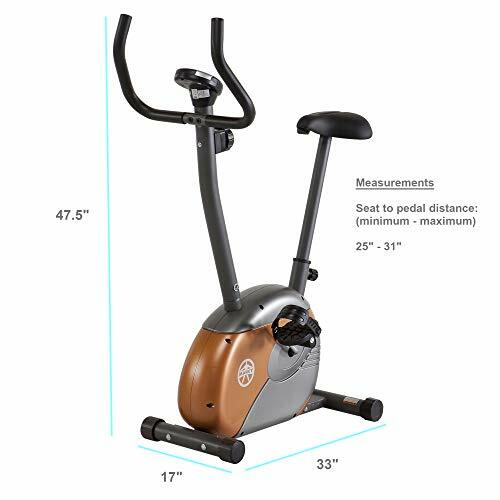 For some users, especially beginners and first timers, this is the perfect purchase to get started with indoor upright bikes. This bike has a magnetic resistance system, this time with 8 levels to select from. Again having a magnetic system means the resistance can be switched quickly and easily whilst the pedalling motion stays smooth. There’s no jarring at all, neither is there any clicking or banging. This isn’t a silent bike, but it is pretty quiet. There’s also not much vibration, and a basic rubber mat can eliminate the little vibration that does occur if it’s an issue. The frame of the bike itself is very strong. It supports users of up to 300 lbs and doesn’t show any sign of struggling. With how solid the bike is and the simplicity of its’ design, the Marcy ME-708 should last for a few years without much trouble. You could literally buy this bike a few times over for the same price as one high end model. 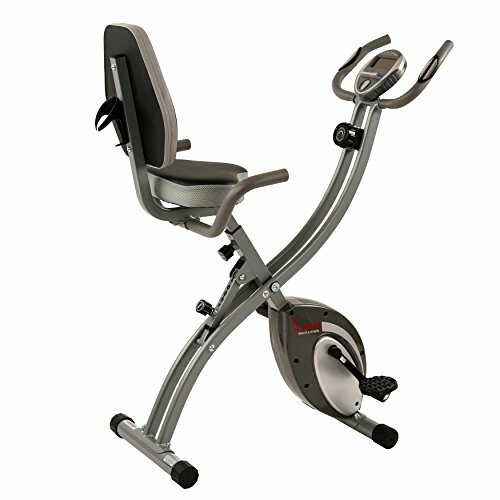 Even mid-range models can cost 2-3 times what the Marcy Upright Bike does, so it’s not too tough an investment to make. While this bike doesn’t fold away and retains a bulky central area at the bottom of the bike, it doesn’t actually weigh that much. Coming in at around 40 lbs, this is easy to pick up and move around. The console is easy to view thanks to big clear numbers and good placement. It displays time, speed, distance and calories. There’s also a total mileage which is your lifetime use of the bike. There’s an option to automatically switch between readouts too, handy for those who are into stat tracking. The ME-708 only displays the four stats mentioned before, and doesn’t have any programs or other information. It also doesn’t include basic features like a drinks holder or phone stand. Resistance is also limited to only 8 levels, so you might sometimes be frustrated at the amount it jumps. It’s also limited at the top end for advanced athletes who need multiple tough levels to vary between. The internal steel frame is solid, but there is some plastic covering which is prone to being cracked or damaged. Some users have reported the seat isn’t very padded. If comfort is important to you, you might not want to chance it. However there are plenty of happy users too, and some of those who had problems found that a simple gel cover solved the issue. Assembly time for this bike can easily run to an hour and sometimes longer. There are a couple of tricky steps though the instructions are pretty clear, thankfully. Follow them carefully and you should be fine, just remember this won’t be a quick job – though it is quite doable alone. Basically it all comes down to what you want from your bike. If you’re looking for comfort, go with the Sunny Fitness Semi-Recumbent Bike. It’s a comfy workout though not great for serious fitness enthusiasts. 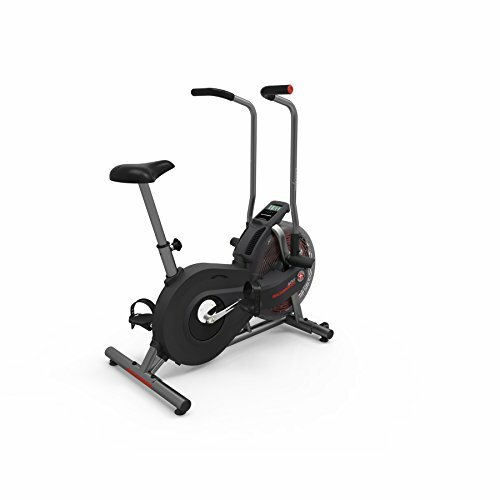 For people wanting a great bike which they can really push their fitness with, the Schwinn Airdyne AD2 is the outright winner here. For those not wanting to spend much, take the Marcy ME-708, it’s basic yet reliable.